Hot / Cold Packs can Be used in Physiotherapy Departments and Hospitals. In Hospitals Used For the patients for Keeping Body Temprature Normal. In Physiotherapy Dept. For sports Injuries and Joint Pains. Soft Gel Ice Pack, Size: 6" X 6"
The Hot - Cold shoulder gel pack is designed for safe and effective treatment of shoulder injuries. The shoulder wrap can be used for both soothing hot therapy and icy cold therapy. Hot therapy is useful for relieving muscle pains because of exertion or any other reason. It restores the muscle elasticity and increase the blood circulation of the affected area. With huge clientele assistance and industrial understanding, we are engaged in offering Hot and Cool Pack Gel. We are involved in offering a wide range of Hot and Cold Gel Pack to our most valued clients. 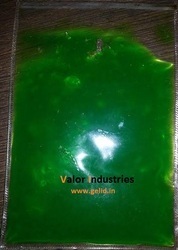 Our range of Hot Cold Gel Pack is widely appreciated by our clients which are situated all round the nation. We offer our range of Hot Cold Gel Pack at most affordable prices. Hot & Cold gel packs available in different shapes and sizes. Multiple reusable, Microwaveable gel pack Used as both : Hot Therapy &Cold therapy in relieving pain. Washable cloth cover maintains the temperature for longer duration. It helps in reducing post-operative swelling and also discomfort caused from liposuction, tummy tucker, upper or lower body procedure. Using Boiling water:Place the gel in the boiling water for 2 to3 minutes. Remove the pack from the boilling water. Wipe it clean with cloth and place in cloth cover Gel pack ready to use. 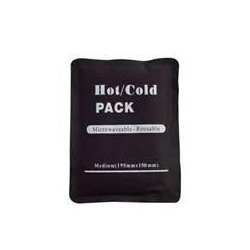 Description This wonderful hot and cold pack can help relieve pain and ease you aching body. It is a gel filled pvc pack that can be used as a cold compress as well as a hot pack. - Relieves pain from headaches. - Relaxes tight joints and eases arthritic pain. Backed by huge industry experience and market understanding, we are involved in offering Hot & Cold Gel Pack to our valued customers.